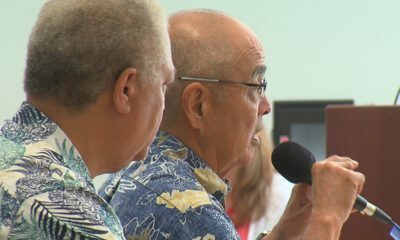 HILO, Hawai‘i - Hawai‘i Emergency Management Agency administrator Vern Miyagi gave a talk to the Hilo business community on Tuesday. 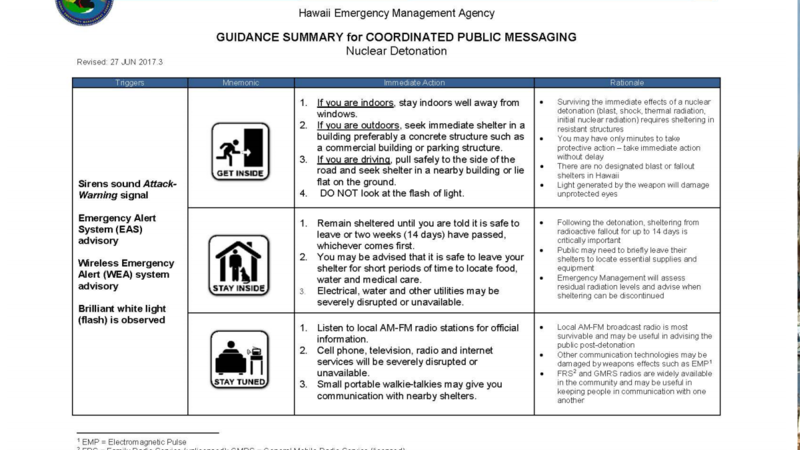 A slide presented by HEMA officials, shown in Hilo on Dec. 12, 2017. 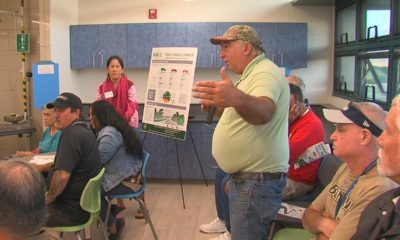 (BIVN) – The State of Hawaii’s plan to deal with the “unlikely” event of a nuclear attack from North Korea was explained to Big Island residents during a Hawai‘i Island Chamber of Commerce luncheon on Tuesday. 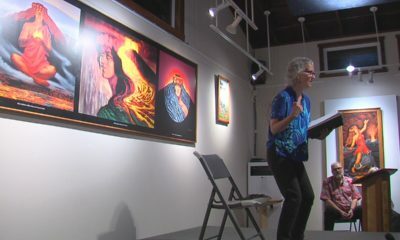 The talk was held at the Hilo Hawaiian Hotel. 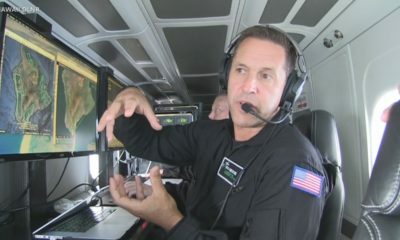 Hawai‘i Emergency Management Agency administrator Vern Miyagi presented a slide show to the audience, walking through the protocols that would be triggered the moment the state learns of a threatening missile launch. 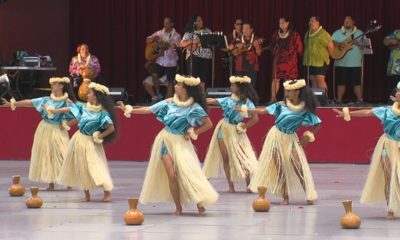 Miyagi has given the same presentation previously, but this was the first one on Hawai‘i Island. 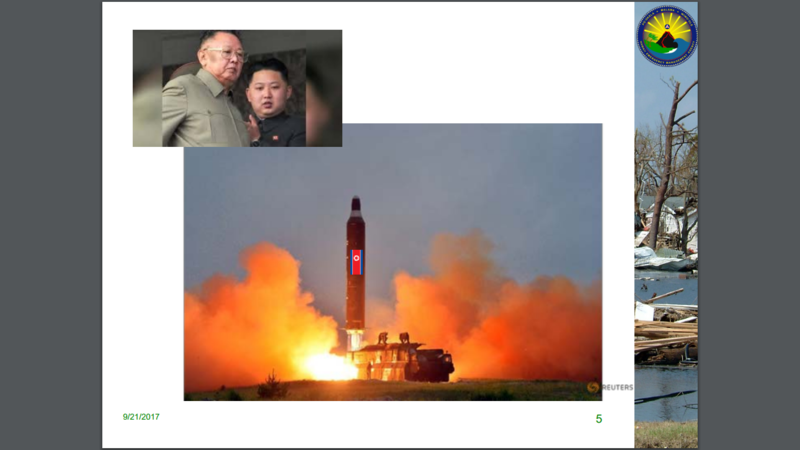 The PowerPoint was also adjusted to reflect new information gleaned from North Korea’s most recent nuclear and ICBM tests. 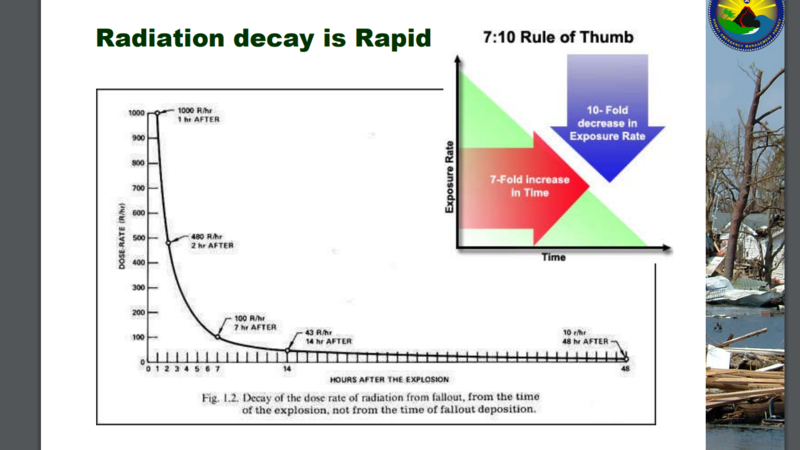 It was also one of Miyagi’s first talks since the nuclear attack warning siren was tested on December 1. 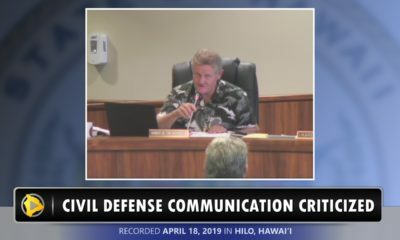 Miyagi acknowledged gaps in the alert, which relies on the tsunami siren infrastructure already in place along Hawai‘i shores. 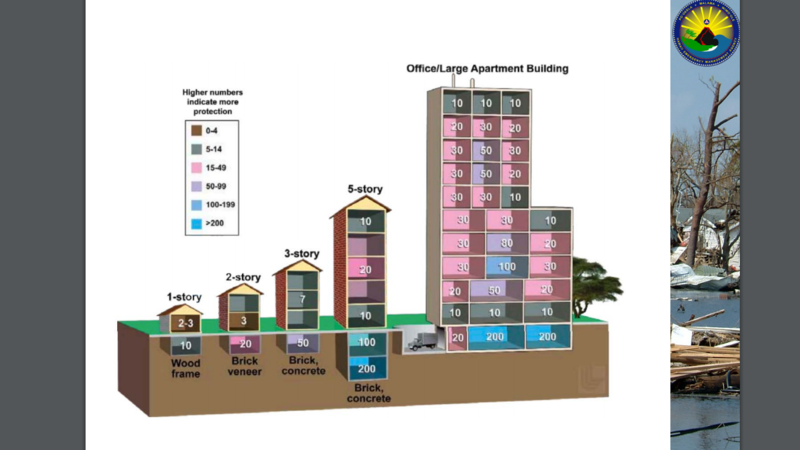 That leaves out residents who live further inland.